- In 1976 Jeff Plewman and Cameron Hawkins were both spinning their wheels and going nowhere while jamming with a Toronto band called Clear. They decided to form their own group, incorporating Hawkins' keyboards and bass guitar and Plewman's electric mandolin and violin into an avant-garde progressive rock sound - and FM was born. With Plewman adopting the name Nash The Slash after a character in a Laurel & Hardy movie, they began rehearsing, and did their first public performance that July, which was videotaped for TVOntario's "Night Music Concert" show. Not broadcasted until that November, it featured them doing a 30-minute set of three long pieces - "Phasors on Stun," "One O'Clock Tomorrow," and "Black Noise," in addition to a quasi-bio recited by local DJ David Pritchard. Days later, they played their first real live gig at a local art gallery, and before long their live performances had developed to the point of adding drummer Martin Deller in February '77. He had actually worked with Nash previously, when they both appeared on Pritchard's album NOCTURNAL EARTHWORM STEW a year later. Word of their high octane but unusual and yet entertaining show got out, and soon they were regulars on the Toronto club and outdoor festival circuits. The attention they were getting caught the ears of CBC execs, and they were invited onto their music variety show, "Who's New?" This in turn led to them recording their debut album later that year. Produced by Keith Whiting, the band assumed it would be a conventional release, but in actuality on 500 copies were pressed, and the CBC only announced its existence during several radio shows and chose to sell it by mail order. Later versions of the album were released with a different jacket on several other labels. But before the end of the year, Nash The Slash left to pursue a solo career (when he began wearing bandages on his face). He stated the addition of a drummer made the band's music too commercial for his liking. Ironically, BLACK NOISE is widely considered the only non-commercial thing he's ever done, with FM or solo. Nonetheless, once he was gone the band set out looking for a replacement - someone who could play both the electric mandolin and violin, and hired Ben Mink (ex Stringband and Murray McLauchlan's Silver Tractors). They landed a deal with Toronto indie label Labyrinth Records in the spring of '78, but weren't interested in releasing BLACK NOISE. Instead they jumped at the chance to get on board with their new album, DIRECT TO DISK, named after the tapeless recording method. Although nothing set the world on fire, shortly after its release, American based Visa Records came calling, and picked up BLACK NOISE, releasing it in Canada on Passport Records. "Phasors On Stun" became a top 20 hit on both sides of the border, and they were rewarded with a gold record (100,000 copies) during a show at Ontario Place that August, in the middle of a major North American tour. But the band's first of several issues with record companies over the years occurred when Hawkins claimed they never received royalty payments from any of the Canadian LP editions, as their contract specified all payments were to come through Visa Records in the USA, and none of the Canadian distributors passed royalties on to Visa. Visa claimed it didn't receive the royalties either. Just as they were to follow up with a new album, the distribution company in Canada, GRT, went bankrupt. Passport's products were picked up by Capitol Records, along with the rights to BLACK NOISE, just in time for the new album, SURVEILLANCE, in the summer of '79. Along with a cover of The Yardbirds' "Shapes of Things," it also included more of what would become the band's trademark stories of space and science fiction in "Horizons," "Father Time," and "Orion." 1980's CITY OF FEAR was the band's first time in the studio with producer Larry Fast, most noteable for his work with Peter Gabriel. Along with the title track, cuts like the lead-off "Krakow," "Truth or Consequences," and "Lost and Found" made it a critic's fave. They set out on the road for the next year, including an American tour backing up Rush, but wanting to branch out on his own, Mink released an instrumental solo album the next year called FOREIGN EXCHANGE, which actually featured the other members of FM, as well. When Mink left to pursue a solo career in the spring of '83, it opened up the door for Nash to return, since he was talking with his old bandmates about doing a tour together, since much of their audience were the same people anyway. But just as they'd begun working on a new album in '84, Passport Records closed its doors for good, leaving the band in the cold and without a label. Since Nash was now with Quality, it only made sense to talk label execs into signing Hawkins and Deller, as well. The result was actually a Nash The Slash solo album with the other two backing, in what would turn out to be his most critically successful ever - AMERICAN BAND-AGES. After the final leg of the world tour ended, which saw them reject an offer to open for The Spoons, FM released CON-TEST in 1985. But although critics viewed it as an overall strong product with tracks that included "Distant Early Warning," "Just Like You," and "All of the Dreams," they once again found themselves without a label when Quality went bankrupt. Although MCA eventually picked up the pieces, all the confusion left FM on the outside looking in, and not receiving any support. They set out on a cross-Canada tour that included a show at Toronto's Masonic Temple, which was taped for one of the CBC TV's "Rock Deluxe" specials later that year. Later dates saw them hit the US, but once they were off the road in the summer of '86, Deller quit, and was replaced by new drummer Greg Critchley (ex Partland Brothers, Spoons). They added guitarist Simon Brierley, ex of Lee Aaron and Strange Advance, and set out on a series of dates while shopping for a new label. But many of their die-hard fans abandoned them, stating that what had made FM different all those years was the fact they didn't use guitars. Still, they were picked up by Duke Street Records and released TONIGHT in 1987, and five of the tracks made it to the soundtrack to "Friday the 13th Part VII: The New Blood" a year later. Randy Cooke replaced Critchley on drums for the upcoming tour, and a year later the lineup was Hawkins and Brierly with new members Martin Shaw on mandolin and violin and new drummer Paul Marangoni. But although they entered the studios to record new material, those tapes never saw the light of day. Once they parked the bus in 1990 after some sporadic shows over the last year, the band officially called it quits, and everyone went off to do other projects. 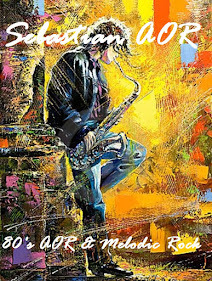 During their absence, a generic synthesized AOR group rose out of the UK with the same name to the charts, but was gone by the time Hawkins had started up Now See Hear Records in 1994. He acquired the rights from the CBC to re-release BLACK NOISE, but discovered they no longer had the master tapes. He travelled to the US and dug through the former Passport Records vaults, but again to no avail. Eventually the album was reissued later that year, mastered from good old vinyl. As it turned out, the master tapes for CITY OF FEAR and SURVEILLANCE were also lost. Hawkins cohersed Nash and Deller into coming back, and they performed a sold out show in Toronto that November. The show was released the next year as RETROACTIVE: FM ARCHIVES VOLUME 1. Along with classics like "Phasors On Stun" and "Horizons," it also included the new songs "Retroactive" and "This Lonely World," as well as their cover of The Who's "Baba O'Riley." The renewed interest in the band resulted in a series of dates throughout Canada and the US that kept them in hotels until after the 1996 summer festival season. They drifted apart again, reuniting every now and then for the next couple of years while Slash continued his solo career. He released an album called LOST IN SPACE on his own Cut Throat Records in 2001, much to the displeasure of Hawkins and Deller. Unbeknownst to them, the album consisted of unreleased recordings made by the original duo of Nash and Hawkins, as well as out-takes from the CON-TEST sessions in '84. This effectively spelled the end of FM with Nash The Slash. - FM is a Canadian progressive rock music group formed in 1976 in Toronto. The band existed from 1976 to 1996, with a brief return in 2006, although they had a period of inactivity between 1989 and 1994. Their music has been categorized as space rock, and lyrics are dominated by science fiction themes. In November 2011, Cameron Hawkins reformed the band with two new players. The band's original 1976 lineup and presentation was very unusual; it consisted of just 2 people: Cameron Hawkins, appearing as a typical rock star at the front of the stage, playing synthesizer, occasional bass guitar, and lead vocals; and Nash the Slash, a mysterious figure in dark clothes lurking in the shadows at the back of the stage, playing electric violin, electric mandolin, backing vocals, and operating a drum machine. Aside from Cameron's bass, the group did not use guitars. The duo first met each other while they were jamming with a band called Clear. The group first recorded in July 1976. A few months later, TVOntario recorded an in-studio performance for the Night Music Concert TV show, first broadcast on November 3. It is very likely this was also the date of recording. The half-hour show, shown with no commercial breaks, presented the band playing three long pieces: "Phasors on Stun", "One O'Clock Tomorrow", and "Black Noise". It also included a nonsensical biography of the group resembling free-association poetry, recited by David Pritchard (electronic musician, record producer and CHUM-FM DJ, 1960s-1970s), accompanied by electronic background music and a collage of photos and artwork by Paul Till, appearing between the first and second songs. Neither this music, nor any performances by the original 2-person lineup, were released on an album until 2001. FM's first public performance took place in November 1976 at the A Space art gallery in Toronto shortly after the TV show first aired. Some time after February 1977 the group became a trio when they added Martin Deller on drums. Deller had worked with Nash earlier in 1976 when they and David Pritchard played a 13-minute improvised piece titled "An Admission of Guilt" for Pritchard's album, Nocturnal Earthworm Stew. After appearing on the CBC (Canadian Broadcasting Corporation) TV variety show Who's New, FM were approached by the CBC to make an album, ultimately titled Black Noise, which the group presumed would be distributed in stores like a normal release. But the CBC chose to sell it by mail order, and only announced its availability during several radio shows. A mere 500 copies were pressed, which was sufficient to meet the demands of this limited promotion. The CBC edition's black and white cover shows a picture of a manhole cover; a different cover by Paul Till was used for later reissues on other labels. In late 1977, Nash the Slash left the group for a solo career, stating that the addition of a drummer gave the band a sound which was too commercial for his liking. This comment would be frequently quoted in articles and reviews years later for irony, as some his later work, with and without FM, is viewed as being much more commercial and pop-oriented than the first FM album. Nash resumed his career as a solo performer in 1978, having also worked as a solo artist in 1975. Before the end of 1977, Nash was replaced by Ben Mink, who also played electric violin and electric mandolin. Their first record was Direct to Disc (also released as Head Room, or Headroom), and was made using the direct to disc recording method, in which recording tape is not used. Several editions of the album exist. Later in 1978, the group got is first proper record contract with Visa Records in the USA, and Passport Records in Canada, the latter distributed by GRT Records. (Passport was a sub-label of Visa, although Passport was the more prolific of the two labels.) Their first release for these labels was a reissue of the CBC album, Black Noise, now made available in stores for the first time. The USA edition was released in the summer of 1978, while the Canadian edition came out near the end of the year. A single from the album, "Phasors on Stun" helped to promote the album, for which the group were presented a gold record award. However, Cameron Hawkins claims they never received royalty payments from any of the Canadian LP editions, as their contract specified all payments were to come through Visa Records in the USA, and none of the three Canadian distributors passed royalties on to Visa. Black Noise was followed by Surveillance in the summer of 1979, the first widely released album with the group's then-current lineup, although it was delayed because GRT Records went out of business one week before the intended release date. Canadian distribution of the Passport label was bought out by Capitol Records who subsequently released both albums. In 1981 the Passport label declared bankruptcy, but was rescued again the following year by new Canadian distributor A&M Records, who reissued Black Noise again. 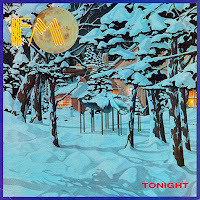 In 1980, FM released another album, City of Fear, produced by Larry Fast who under the name "Synergy" released a series of electronic music albums as well as playing keyboards on Peter Gabriel's early albums. Ben Mink also recorded an instrumental solo album, Foreign Exchange with the other members of FM as his backing band. Ben Mink left FM in 1983. In 1983, Nash the Slash proposed a future double bill tour with FM, as the two artists seemed to share a common audience, since FM's best known previous album was the one he made with them in 1977. But they had still not found a replacement for Ben Mink. Nash resolved the problem by rejoining the band. Just as work was beginning on a new album in 1984, Passport Records folded for the third and final time. Nash had been signed to Quality Records as a solo artist in 1983, and was about to release his solo album American Band-ages, which the originally proposed tour had been intended to promote, and was able to get FM signed to the label as well. The other two members of FM also play on Nash's album. The double bill concept was retained, with Nash playing a solo set as the opening act for FM concerts. 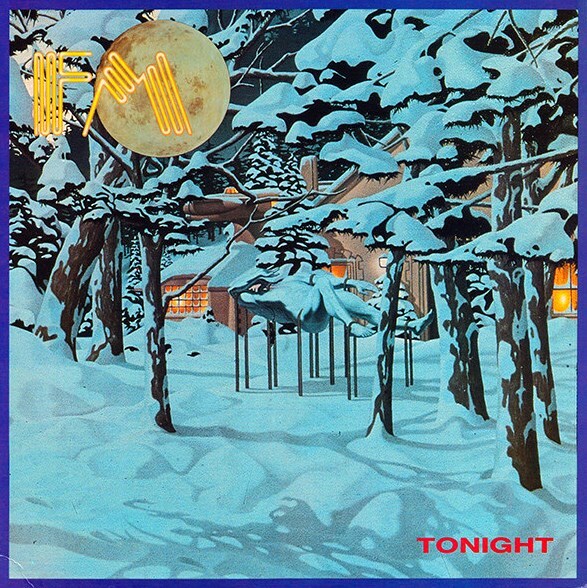 The FM album, released in 1985, was titled Con-Test. Ben Mink also appears on the album. A live show at the Masonic Temple in Toronto was videotaped and aired by the CBC as one of its Rock Deluxe TV specials in 1985. FM seemed to be cursed by record labels going out of business. The Quality Records company had existed since the early 1950s, and by the 1960s was Canada's biggest domestic label; but they ceased operations shortly after the album was released. MCA Records picked up the reissue rights for Con-Test, as well as Nash's American Band-ages, but the abrupt change in record labels led to a near-absence of promotion for both records. Martin Deller left the band at the conclusion of its 1986 tour. In 1986, FM replaced Deller with Greg Critchley (ex Partland Brothers and The Spoons) on drums, and added Simon Brierley (ex Lee Aaron's band and Strange Advance) on guitars. Before this time, FM (and Nash as a solo artist) were notable for not using electric guitars, therefore this change made a significant alteration to their sound. They recorded Tonight for Duke Street Records, with the first pressing issued on green vinyl. Duke Street also issued the album on CD, with five bonus tracks from Con-Test, followed by a CD edition of the earlier album. Five songs were also used in the horror film Friday the 13th Part VII: The New Blood (1988). In 1988, Randy Cooke replaced Greg Critchley on drums. This lineup disbanded after touring the Tonight album. In 1989, FM consisted of Hawkins and Brierly, augmented by the new members Martin Shaw (also known as Marty Warsh) on mandolin and violin and drummer Paul Marangoni. Information on this lineup is scarce, and though Marangoni has stated that this line-up planned to record, they disbanded in the early 1990s. Marangoni has since shared footage of this lineup on YouTube. In 1994, Cameron Hawkins created a new record company called Now See Hear Records (initially self-distributed, but later distributed by MCA Records as of 1996), and purchased the rights to Black Noise which was still owned by the CBC, but ownership was set to expire that year. Hawkins was surprised to find a competitor bidding for the rights, but his label emerged as the winning bidder. By this time, the CBC no longer possessed a master tape of the album. A search for the tape at the CBC turned up a reel tape box with an inferior cassette copy inside. Hawkins then travelled to the USA to search the former Passport Records vaults for the tapes of this, and the other Passport albums, without success. Ultimately, the Now See Hear reissue of Black Noise was made from a transfer from vinyl. Now See Hear also licensed the recording to One Way Records, a company specializing in reissues, who released an American edition. The reissue was followed by a reformation of the group's classic lineup for a series of concerts from 1994 to 1996, resulting in a new live CD titled RetroActive recorded November 1994 in Toronto, and issued on Now See Hear in 1995. The album included some previously unrecorded songs. In 2001, Nash the Slash compiled unreleased and live FM recordings from the 1970s and 1980s on a CD titled Lost in Space on his own Cut-throat Records label. This release was not approved by the other members, and did not mention the name FM; the artist was listed as "Nash the Slash, Cameron Hawkins & Martin Deller". It includes recordings made by the original Hawkins / Nash the Slash lineup in 1976 and 1977, and demo versions of songs for Con-Test recorded in 1984. In 2006, FM reformed again for a live performance at NEARfest in Bethlehem, Pennsylvania, USA on June 24, and also gave a concert prior to this in Toronto on June 16. The new lineup included Italian musician Claudio Vena on electric violin and electric mandolin. No recordings by this lineup have been issued, and the band's website has not been updated since 2006. In 2010, Martin Deller uploaded a video on YouTube, advertising for drumming and recording lessons. The video consists of clips from the NEARfest 2006 performance which is also mentioned as being an upcoming release. Since 2011, Cameron Hawkins has worked on material with a new incarnation of FM. Joining Hawkins are Paul DeLong on drums, Aaron Solomon on violin, and Ed Bernard of Druckfarben on viola and mandolin. The band is putting the finishing touches on songs for a new album that is to be released by Esoteric Recordings. On May 12, 2014, Nash the Slash died at age 66.